The holidays are full of so much family time. Sometimes, our days are jam packed with visiting in-laws, Christmas shows, and holiday festivals. Other times, we are left with more time to savor the moment. 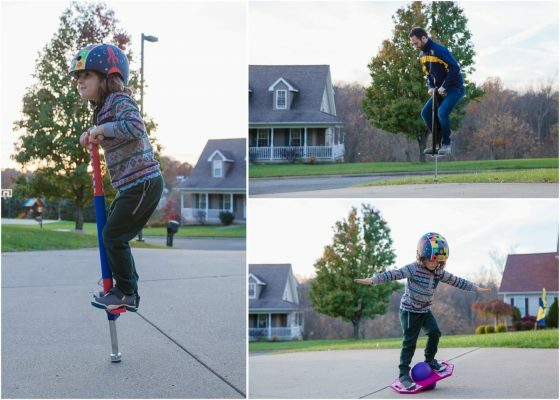 In these moments, it is fun to get out and get moving with your family. Exercise not only benefits your physical health, but also your mental well-being. 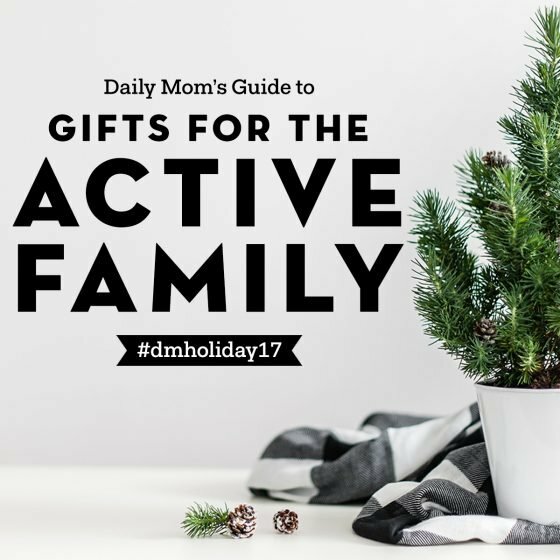 If partaking in a healthy lifestyle is something you value, then you will love our top picks gifts for the active family below. If you’re looking for a versatile stroller to accompany any family adventure, look no further than the Rambler by Bob. 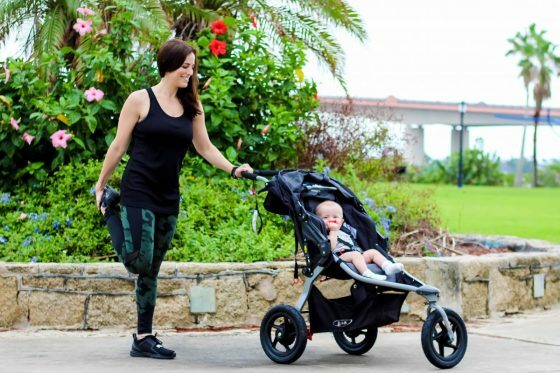 Whether you want to take this stroller on a jog, to the zoo, or the park, this all-terrain stroller is great for all motherhood’s adventures. The swivel-locking front wheel makes the stroller easy to maneuver through the shopping aisles, or lock for stability during a morning jog. 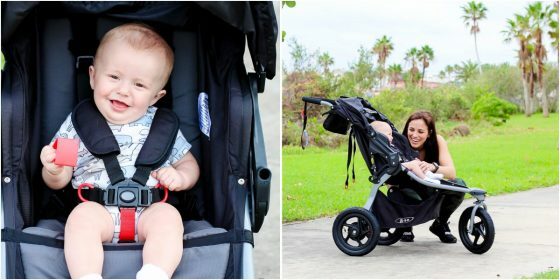 With the purchase of an adapter, this stroller is compatible with most major brand’s car seats, making it portable for your little one, and travel system ready. The comfortable reclining seat has a weight capacity of 75 pounds, so it will grow with your child. 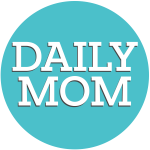 If you are looking for a stroller that will meet all of an active mom’s needs, look no further. 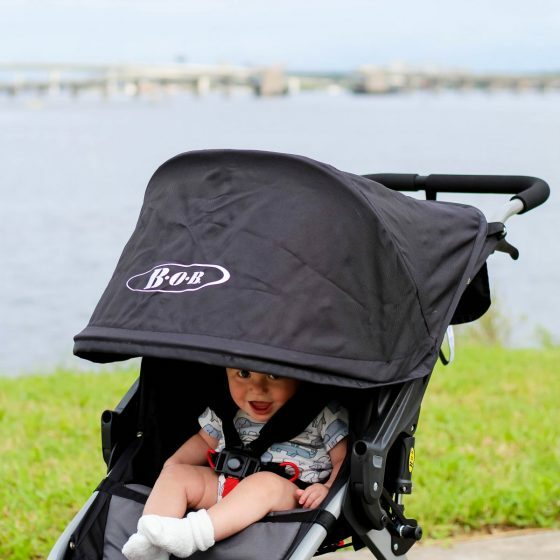 The Rambler by Bob is the versatile stroller you’ve been waiting for. Five Point Harness to keep your child secure. Mountain bike-style suspension system for an ultra-smooth ride for your baby. Large cargo basket for plenty of storage. Folds flat and small enough to fit into a small car’s trunk. The holidays are filled with over-indulgence, especially when it comes to food. The Christmas cookies, the big meals, holiday parties- they all make it difficult to stick to your healthy eating habits. 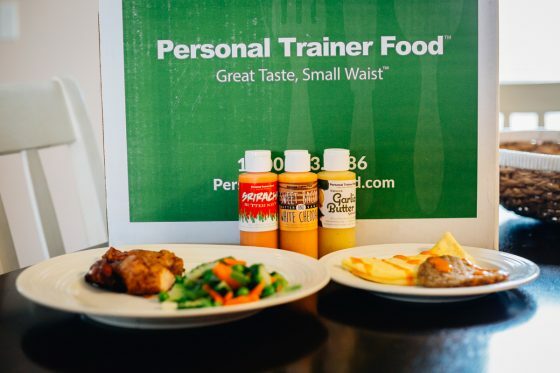 If a goal of yours, or someone you know, is to lose weight for the New Year, then a subscription to Personal Trainer Food is a great gift this holiday season. 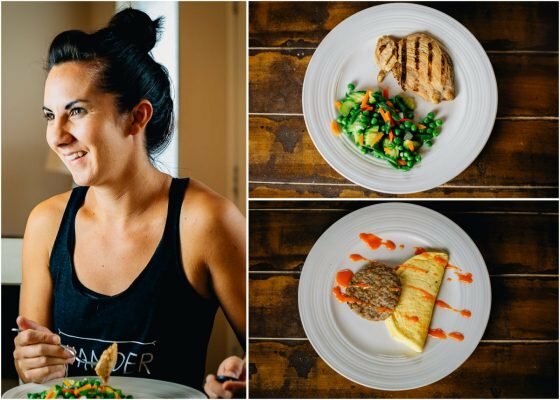 Personal Trainer Food is a meal delivery service that helps you stay on track with your diet plan by providing healthy, filling meals that are easy to cook. 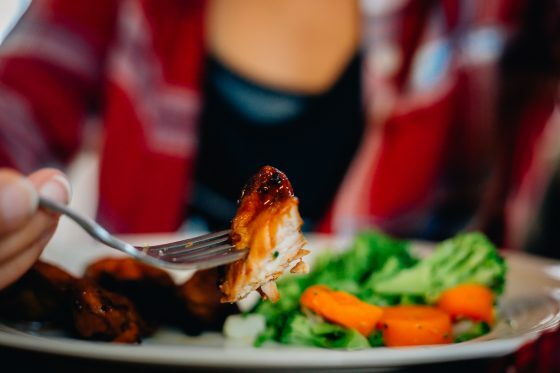 You won’t find yourself feeling hungry after your pre-planned meals either as they provide a large enough serving to keep you full. Treats, cookies, and holiday indulgences will be easy to avoid with a personalized plan from Personal Trainer Food. You Choose Plan- Choose 140 items of your choice between breakfast, lunch, and dinner. Your taste buds won’t be disappointed with meal options like Cheddar Omelet and Sausage, BBQ Pork Ribs, and California Blend vegetables. The meals truly are delicious- not flavorless like many other meal subscription services. Your meals are delivered two days after your order is placed, so you can be sure to get right on track as soon as possible. 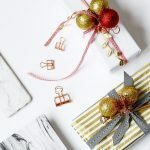 Mittyz from Veyo are the mittens that need to be under your tree this Christmas. Kids usually hate wearing gloves or mittens because they are hard to get on and never fit quite right. Veyo Mittyz eliminate those problems and they have kid friendly designs that your child will want to wear. First of all, Mittyz are easy to get on and off. There is no tiny, frustrating spot for your child’s thumb. They are designed almost like paws with a large thumb pocket. 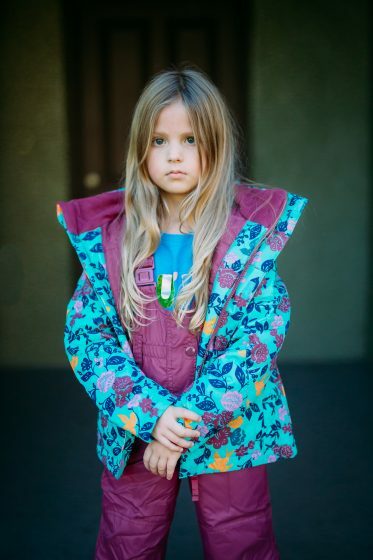 You don’t have to tuck them inside your child’s coat. They are large enough to go over the coat and tighten at the wrist from the outside for a secure, warm fit. 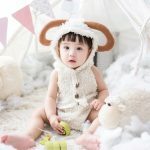 There are seven ridiculously cute designs to choose from: some look like tiger paws, one pair looks like a certain Ice Queen’s gloves, there are penguins, pirates, and butterflies as well. 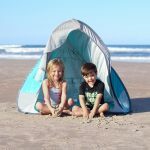 Veyo Mittyz are waterproof and can be turned inside out to wash and dry. 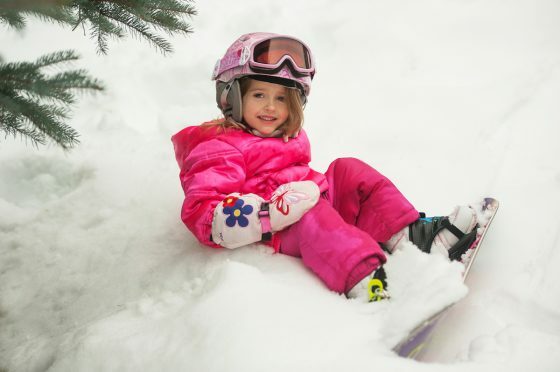 Your kids will love wearing them, allowing you all to stay outside and enjoy the winter wonderland a lot longer. 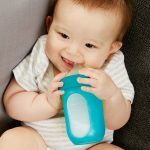 If shopping for a child who just seems to never stop moving (or an adult for that matter) then Flybar offers the best selection of gifts to round out your Holiday shopping this season. 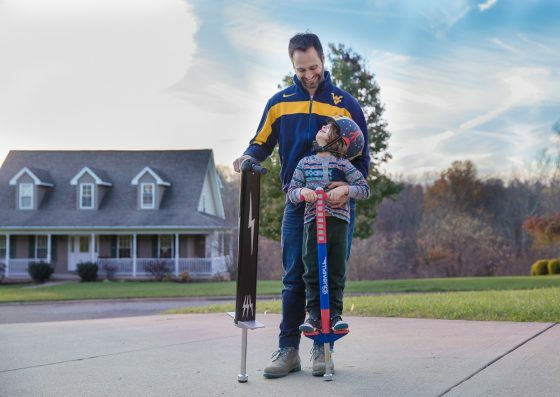 If you have a kid on your list, the Maverick is the perfect introductory pogo stick for ages 5 and up and for older kids the Velocity is perfect. 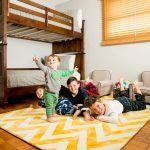 These sticks have soft foam perfect for the kids to grab and a wide stance bounce tip equipped for the hours of energy your little ones will be exerting on it. Don’t worry­they even have something for adults. 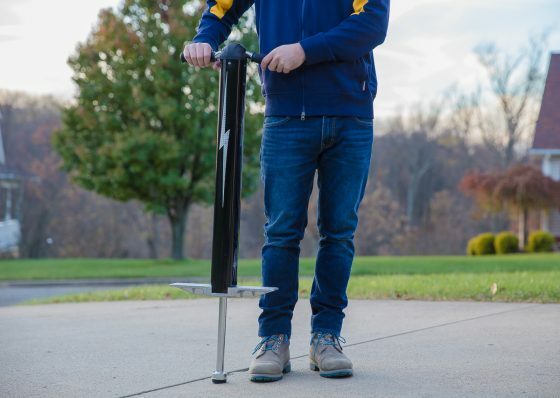 The Super Pogo is constructed of aircraft grade aluminum and is spring powered and ready for even the most extreme of jumpers. 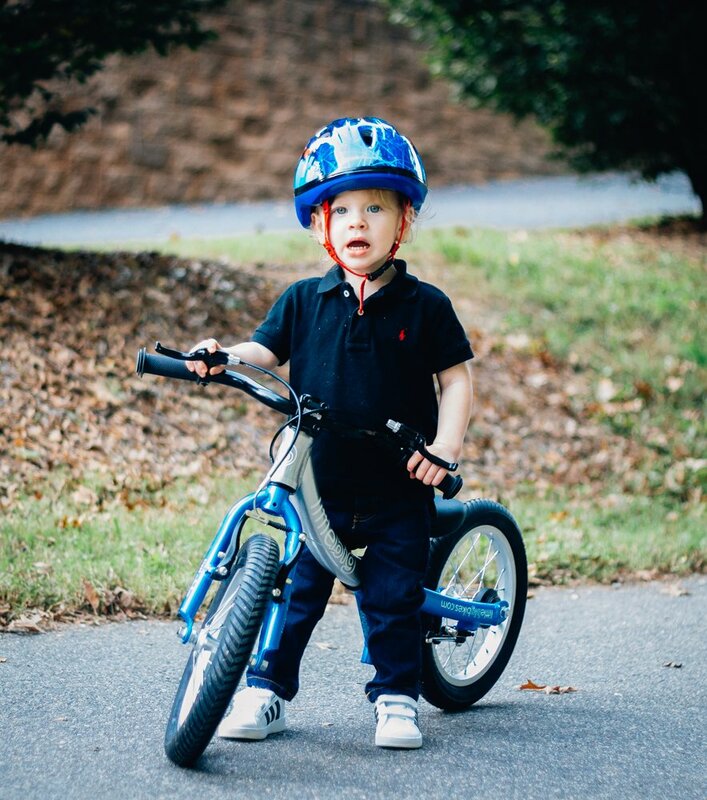 Learning to ride a bike is a pivotal moment in a child’s life. 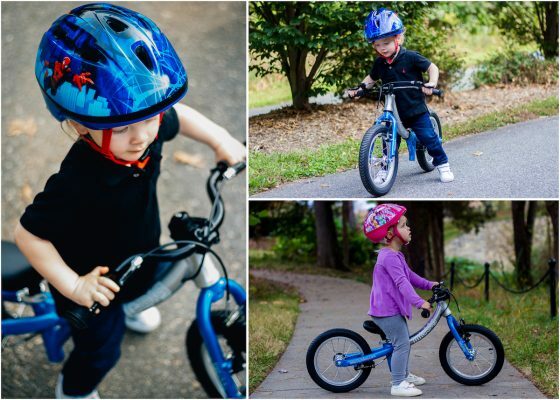 Balance bikes build strength by using kids arms and legs to propel them forward. This helps to improve their gross motor skills by developing coordination and agility. 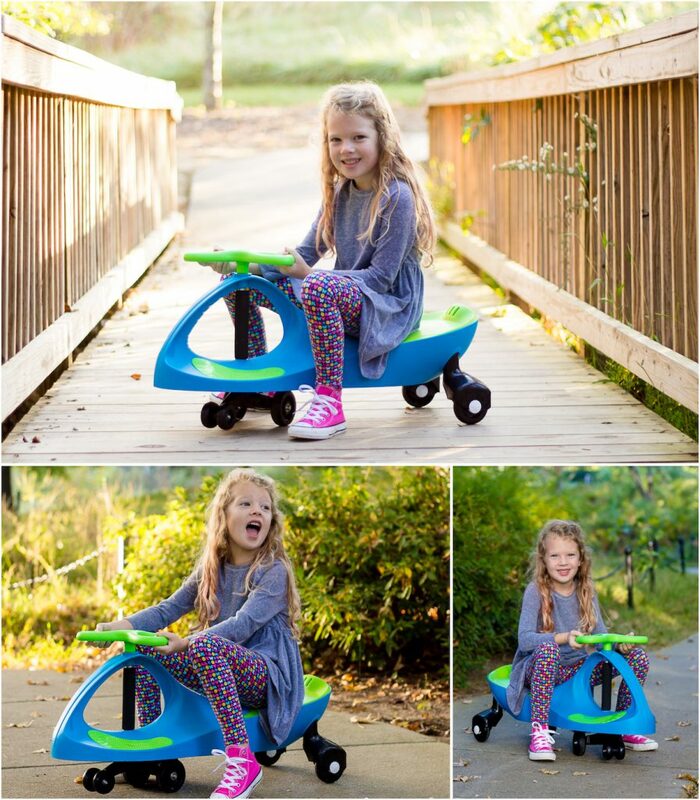 Little Big Bike is an amazing 3 in 1 balance bike that grows with your child. 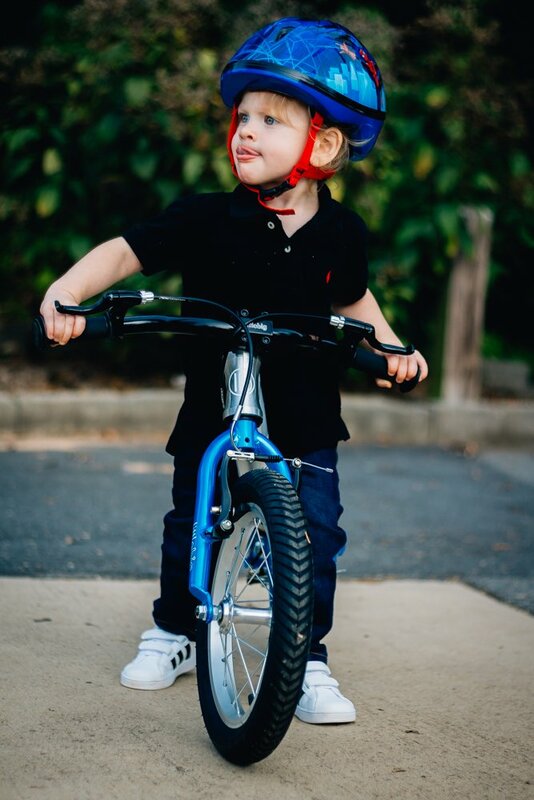 The same bike converts as your child grows; this helps to gain confidence in their ability to ride a pedal bike. 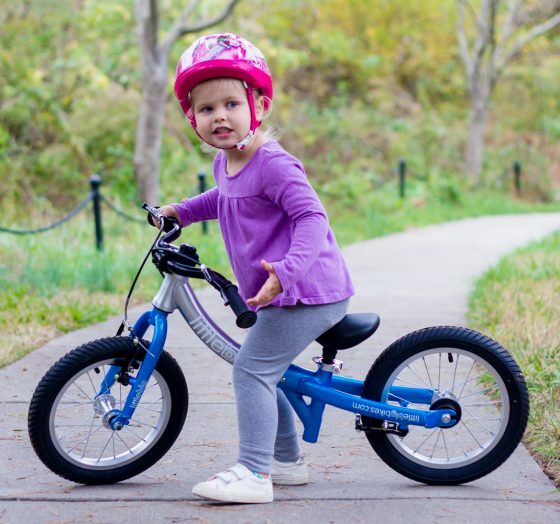 Little Big Bike is the economical and innovative balance bike that adjust alongside your child. Girls are under a lot of pressure these days- what they look like, how they think, and why they do things is always being scrutinized. However, the message should be that no matter what you look like or do- as long as they are trying your best, being kind, and being you- then you are doing just fine. Jill Yoga wants to encourage girls to Be Active, Be Bold, but most of all Be You. 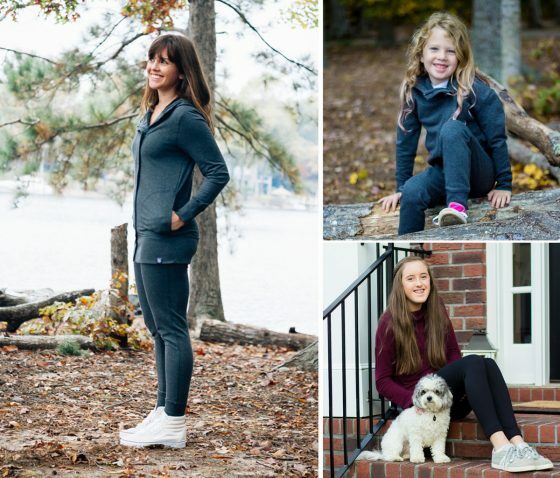 They offer fashionable, comfortable athletic wear that exudes confidence. Jill Yoga has bold prints, patterns, and even offers a Mommy and Me line. 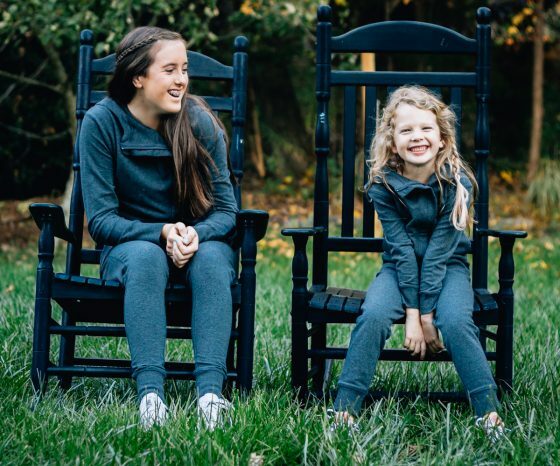 The matching asymmetrical hoodies and joggers are perfect for moms and daughters or sisters. Their high-waisted black yoga pants are ultra-stretchy and comfortable. They are made from high quality activewear textiles that conform and stretch with you. Let’s rewrite the stereotype placed upon girls with Jill Yoga- being active, bold, and yourself is beautiful. The weather has changed and winter is coming! 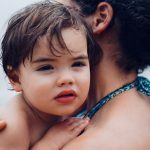 Whether you live in a colder climate or have a winter vacation planned, you do not want a cold kiddo. 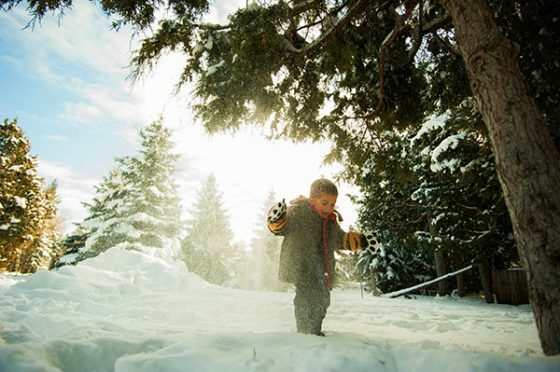 Garnet Hill has solutions to keep your kids comfortable inside and outside this winter. 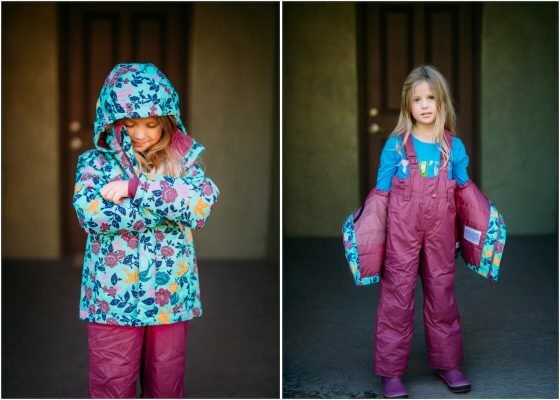 Before heading out to play in the snow, suit up in the Signature Snow Pants and Signature Snow Jacket . 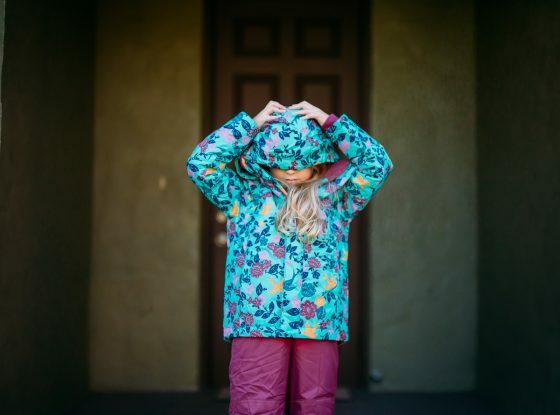 The Snow Jacket, shown here in Songbird, will be her favorite jacket whether she is skiing or walking to school. It is super warm but lightweight and moves along with her. The fleece cuffs keep the cold out of the sleeves. It is hooded and hits just below the hip. 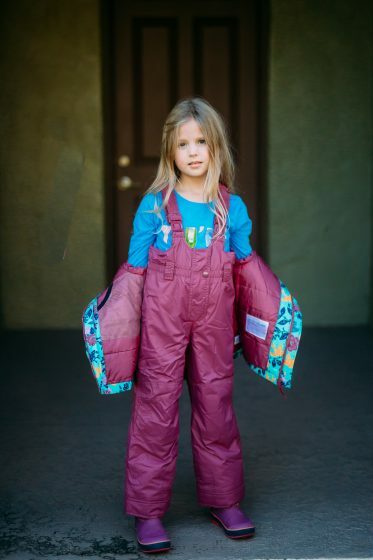 The Snow Pants, shown here in Dark Raspberry, are water repellant and insulated. The knees and hems are reinforced so it will hold up through any play or activity. 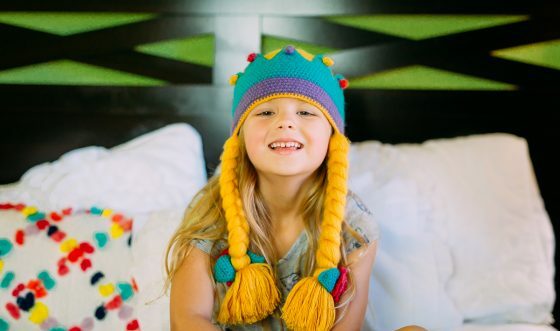 Garnet Hill has the most adorable line of hats this year for kids. 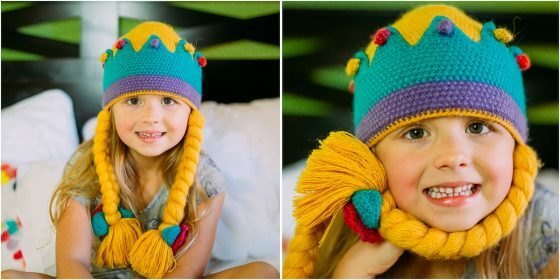 We can’t get enough of the Character Hat in Princess. It is so playful and adorable but warm at the same time. Often kids don’t want to wear a hat but if you get a Garnet Hill character hat, that won’t be a problem. To keep her toes toasty she needs the Boiled Wool Slippers. 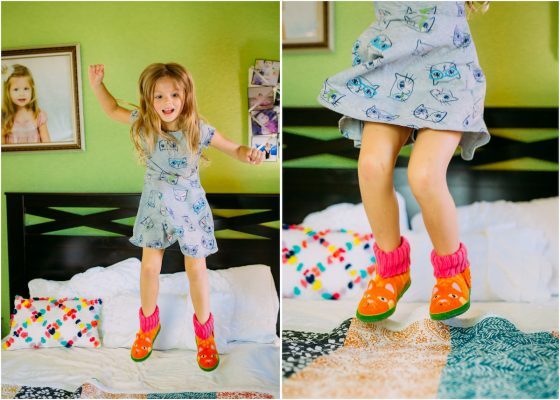 These slipper boots, shown here in the Kitty design, are comfy and cozy. The boiled wool is breathable and the knit cuff keeps them on snuggly. 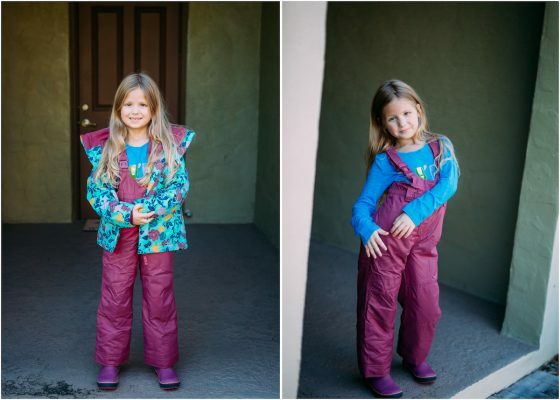 Signature Snow Pants and Signature Snow Jacket rugged yet lightweight for outdoor play in the winter. The Character Hat comes in 7 different characters. The Slippers come in 11 different designs. 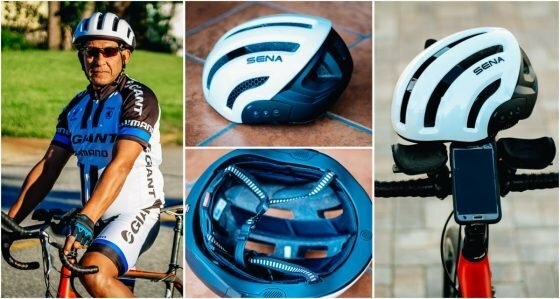 The Sena X1 Bluetooth integrated Cycling Helmet is the perfect gift for any cyclist. 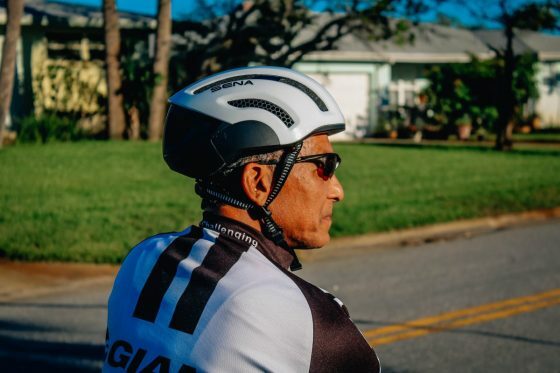 Safety is key when riding a bicycle both for leisure or exercise and a helmet is one of the most important accessories a cyclists needs to ensure their protection. Music enhances that experience; however, having headphones in your ear can limit your hearing of your surroundings and pose safety issues. 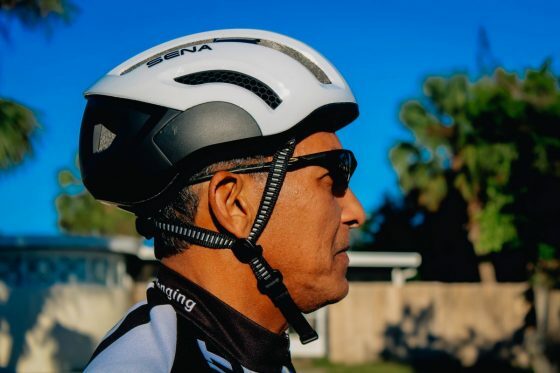 The Sena X1 helmet is the first ever Bluetooth cycling helmet that allows you to listen to music, GPS navigation, hear your data from your fitness app, and answer phone calls. 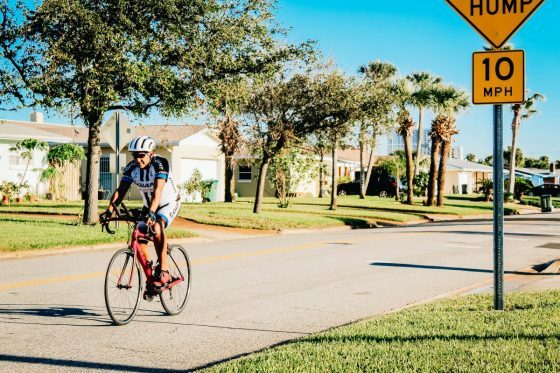 Through the built in HD quality speakers and advanced noise control microphone that filters out wind and noise, you are able to communicate with up to three other cyclists if you are riding in a group. 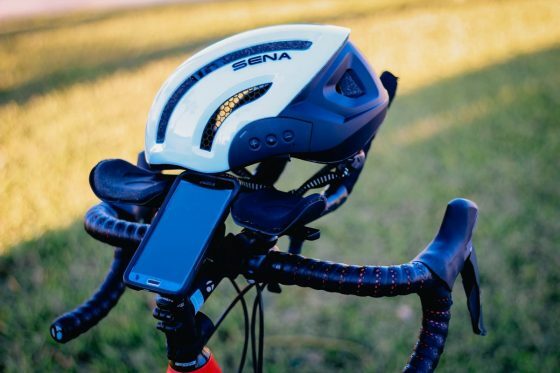 Never fumble with your phone again as the control buttons are located on the side of the helmet with just 3 simple buttons that control volume and music selection. 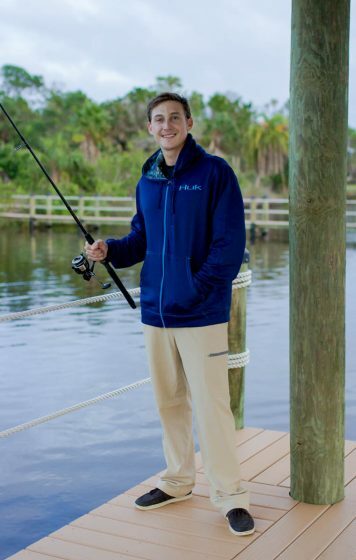 If the cooler weather doesn’t slow down those avid fishermen in your life, Huk has you covered this Holiday Season with practical and fashionable gear to keep them near the water. 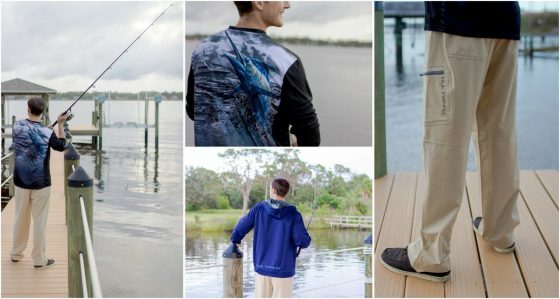 With styles that can easily go from a day on the water to a casual night out, the man in your life is sure to love these comfortable, casual looks that will keep them dry and warm. Find plenty of styles to choose from including long sleeve crew necks and mock turtle necks, and cold weather protection of various degrees. Crafted of durable, Poly Knit and other moisture-wicking materials Huk’s Performance Apparel is sure to keep him dry. With enhanced breathability and anti-microbial properties, Huk’s Clothing line will keep your fisherman from smelling like his catch. Featuring SPF and UPF protection to keep those winter sunburns at bay. Cargo Pants with a classic button and zip fly also sport an interior adjustable waistband to maintain a perfect fit all season. Nokia Steel is an activity tracker that looks like a designer watch. There are different band colors to choose from to match the wearer’s style. 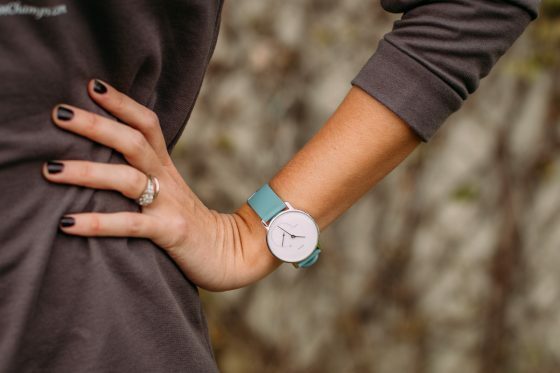 We love the minimalist design, no ugly band here! 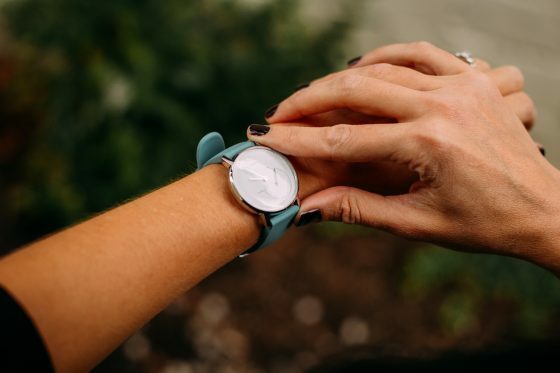 This watch looks amazing, but it is super smart as well. Connect with the Health Mate app for data that syncs automatically. It tracks so much and it does it automatically. You don’t even have to charge it up. 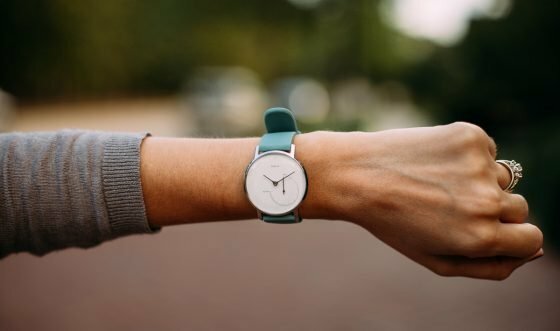 This watch/activity tracker works for you. 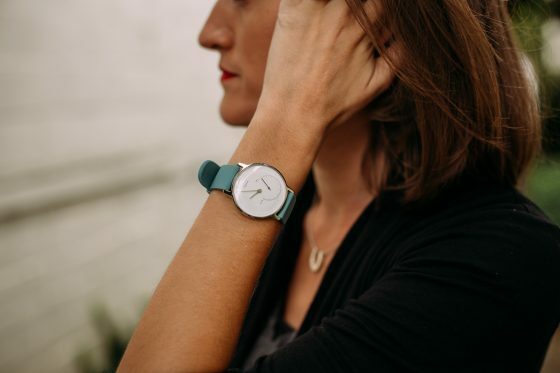 The look of the watch is customizable from the face color to the band material and color. If swimming is part of your fitness routine, the Nokia Steel is water resistant up to 50m. 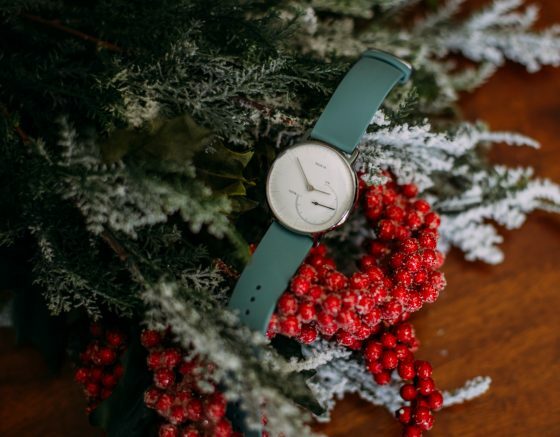 You will never want to take this watch off. If you sleep in it, your sleep patterns will be monitored and you can set an alarm that wakes you up with a gentle vibration. 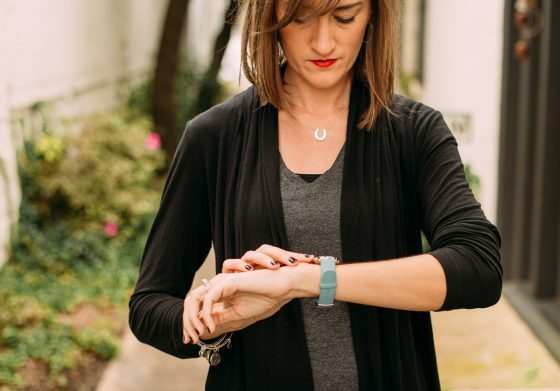 The Nokia Steel works for your morning, noon, and night and looks stylist, and that is something you cannot say about any other fitness tracker. 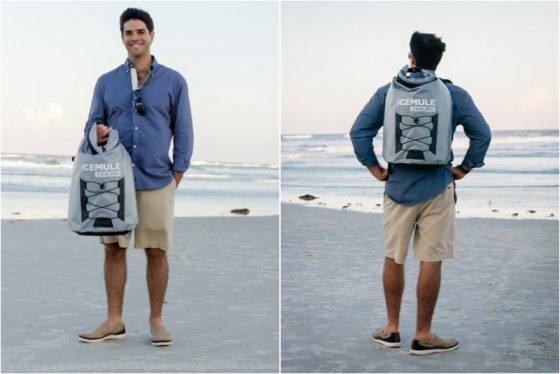 From spending a day at the beach to a day on the slopes, the IceMule Pro Large Backpack Cooler has got the soccer dad to the adventure junkie covered this year with the perfect gift. 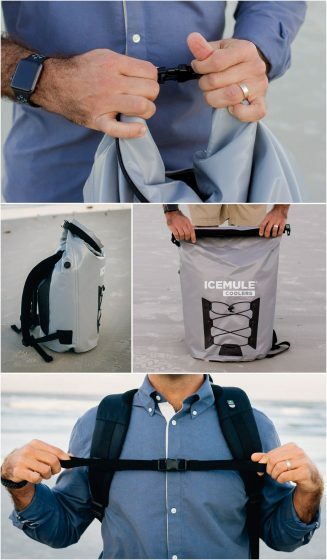 Whether hauling snacks for the kids or a picnic lunch, the IceMule is ideal for any outdoor activity because of its roomy interior, leak and condensation proof exterior and all around portability. Toss those heavy coolers and even those on wheels this year for the ease and simplicity of an IceMule. 100% Hands-Free Portability featuring a comfortable carry backpack design and chest strap for security and stability. 24 hour ice retention to keep your food cold and fresh the entire day. Compact and soft, simple to roll up and store for your next adventure. 100% waterproof AND able to float making IceMule’s ideal for a day at the beach or on the boat. The roomy interior of the Large Pro can accommodate 18 cans plus ice. 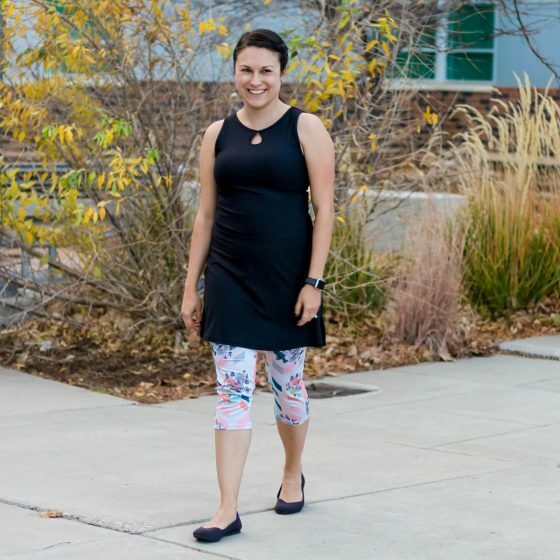 Whether she is going to the gym for a quick workout, or headed out for a night on the town, the X-Dress Ruu from Nuu-Muu will quickly become a new staple in her closet. 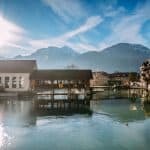 Nuu-Muu believes that women’s fashion should be functional and flattering to empower women to look and feel great no matter where their journey takes them. Sewn with comfortable a polyester and spandex blend, the moisture wicking material makes the X-Dress perfect for a quick jog before heading out to meet up with the girls for dinner. Flattering A line fit suits any body type. SPF 50+ fabric shields skin from harsh sun while outdoors. Lower back duo pocket ideal for keys, identification and cell phone. Broad straps cover most sports bras completely. 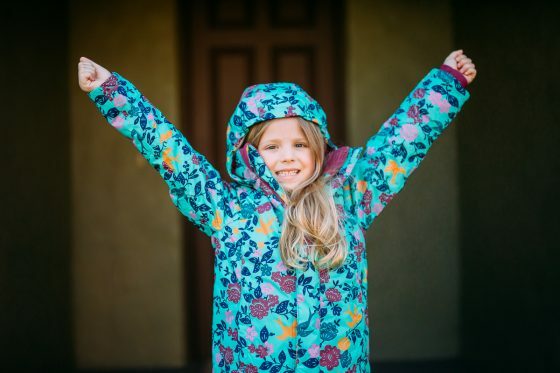 Perfect for the outdoor loving, energetic child. 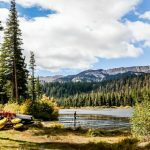 Active lifestyles have immeasurable benefits on our lives. Longevity, happiness, and overall well being. 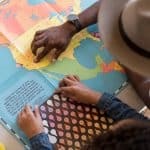 As parents, these are all traits we would like to pass on to our kids. One great way to instill a positive, healthy outlook in our kids is to get them exercising from the beginning. 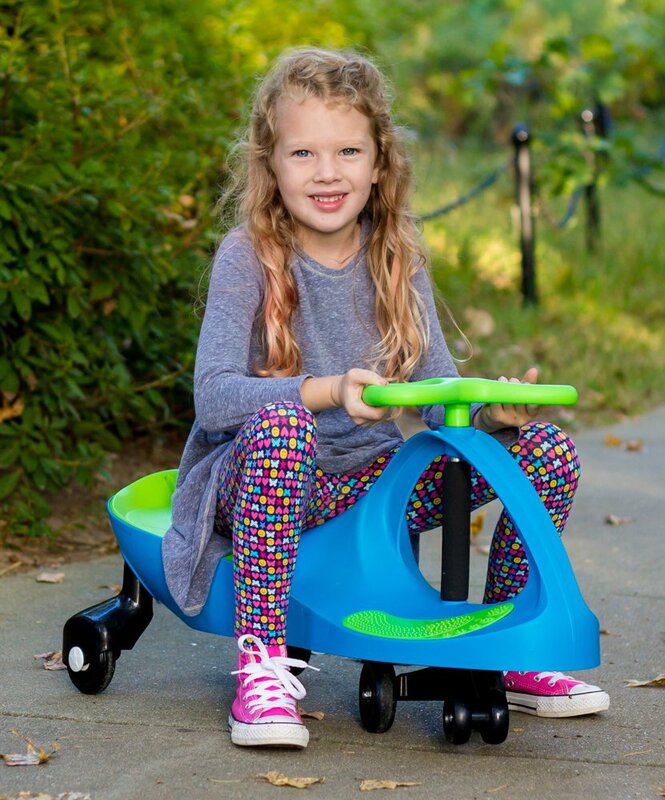 PlasmaCar is a fun an innovative way to get kids outside and moving. PlasmaCar uses natural forces of inertia, centrifugal force, friction, and the movement of the steering wheel to move the back forward and backward. PlasmaCar offers hours of fun with no batteries, gears, or pedaling required.